I love initials. I love decorating with them, too! We have an "H" & an "L" above our bed. But lately I've been on the lookout for some "C"s... See my last name begins with a "C" & so does Luke's. So when we get married my initials are going to stay the same! :) I'd love to find something that I can incorporate into our gallery wall in the living room, or place on the mantel. 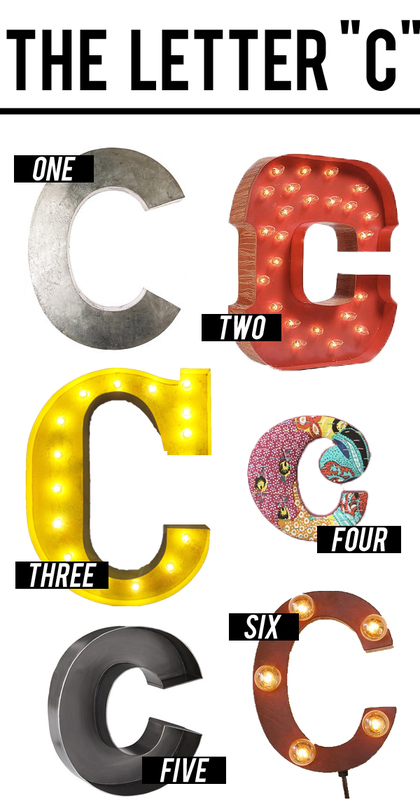 I don't know what it is about these letters, but I just think it's such a fun touch to add to any space! I love the ones from Anthro. We have a couple different initial versions from there! I'm looking to get some for my room too... An E and an F!